UP CM announced compensation of Rs 40L for Singh's wife, Rs 10L for his parents and a govt job for a member of his family. 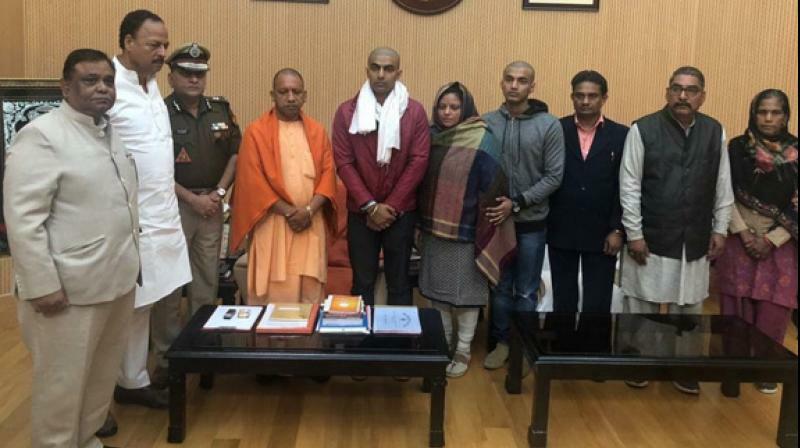 Lucknow: Uttar Pradesh Chief Minister Yogi Adityanath on Thursday met with the family of inspector Subodh Singh, who was recently killed in Bulandshahr violence which was triggered by rumours of alleged cow slaughtering in the vicinity. Shrey Pratap Singh, son of Police inspector Subodh Singh said, "We met the Chief Minister and he has assured us that we will get justice."